This is a debut of my burgundy pants on the blog which I wore with a black peplum top and monochrome pumps.I accessorized with a black bag and white drop earrings…And that’s pretty much it. Sometimes understated is just what you need . For my lips I’m wearing Revlon lipstick in ”Black Cherry”. Check out this post about my Revlon make up haul. Speaking of elegance,I think the shoes on lulus.com are absolutely to die for. 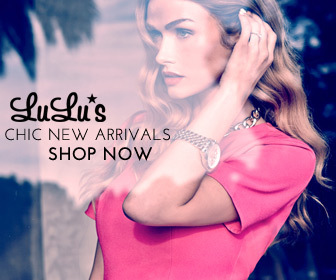 Shop NEW SHOES daily at Lulu*s and get FREE SHIPPING both ways – Click Here! Continue to have an awesome week. Any plans for Easter? I’ll keep you posted with mine. Next Article ARE YOU GUILTY OF THESE BAD FASHION HABITS? love the colour.nice pants.the hair suits you as well.